On November 12, 2016 we reported the John Kerry 11-11-2016 trip to Antarctica by discussing the “Antarctic Ban”for another 35 years followed up with our report about the strange blue lights in the sky during the 7.8M earthquake in New Zealand and the blue/greenish UFO-like object that appeared over Perth, Australia, several hours after the New Zealand’s earthquake happened. Now it appears that John Kerry’s visit to Antarctica was not only intended to the new ‘Antarctic Ban’ agreement, but the primary reason of John Kerry’s visit was to initiate contact with the Antarctica “Guardians”. 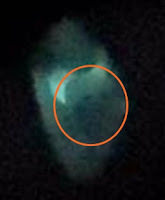 After reading the following report published by Whatdoesitmean it becomes clear that the strange blue light in the sky over Wellington in New Zealand appearently has been caused by these “Antarctica Beings”. Also the appearance of the blue/greenish UFO-like object over Australia which showed a human-like face (Face of an Antarctica Guardian?) inside the object seems to be associated with these “Guardians”. In the early morning hours (6:02 am local time) of 13 November while Secretary Kerry was sleeping in Christchurch, however, this report notes, this region was struck by a powerful 7.8 magnitude earthquake - and that SVR analysts state was a “predictable consequence” known to be used by these Antarctica “guardians” as a “warning message” not to interfere with their “mission/research”. 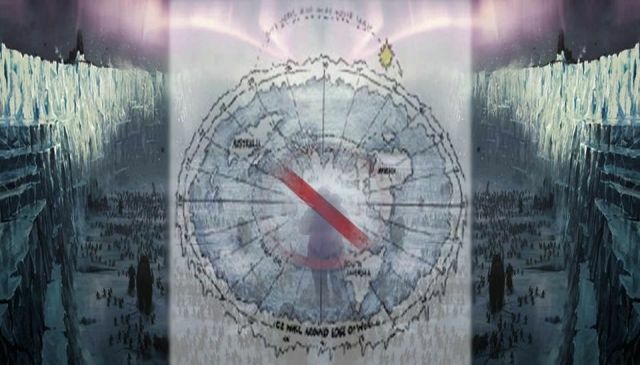 The Aliens Orion Nordics Vril Lives on Antarctica underground, they are bad and evil. (false Light). you dont know that for sure, I heard it was the Agarthans who were ther bad guys, time will tell ! Not true. I heard that they are Vegitarians from the salad galaxy. an interesting take on matters. I believe this happened. Good for the Antarctic Guardians to tell Kerry to F*** off. It's very sad that it caused a 7.8 magnitude earthquake in New Zealand and put innocent people at risk. Let's get these Cabal assholes out of here. I spent a full year in Antarctica from Oct 1969 to Oct 1970 with operation Deep Freeze. Obviously there is plenty of nonsense around the internet about Antarctica. I will tell you this, Antarctica holds many secrets, has unusual and surreal beauty and can be very dangerous. As far as Aliens and UFO's are concerned, the possibility certainly exists but they are not under any earthly control. One problem with this story. John Kerry Did not stay in Christchurch. He flew over Christchurch on the 12th of November. Reading these comments is certainly helpful in my tryng to figure out what is really going on here. Thank you all for your comments. Kerry carried a secret message from President Obama to the Guardians asking if Obama could 'disclose' Americas knowledge of the EBE. But the Guardian's saw through this as an effort by Obama to retain leadership control and denied the request. "why has the top Russian priest been there?.. " One theory is explained in a Mr. Cati's YouTube video 'The Ritual Ashes of Justice & the Ark of Gabriel Observation' - if you can find it online.